One scoop or two? 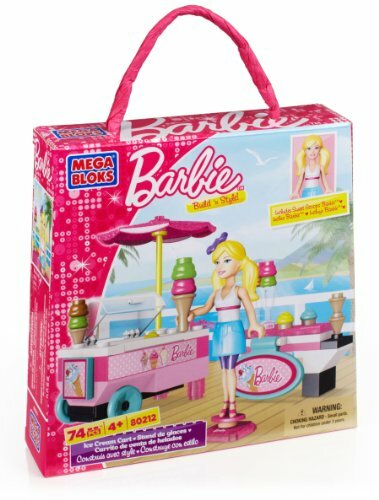 Comes with cones, sundae cups, and lots of ice cream! 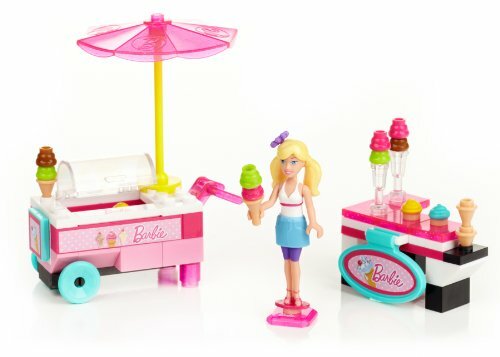 Line up for the coolest treats in town at the Mega Bloks Barbie Build 'n Style Ice Cream Cart! 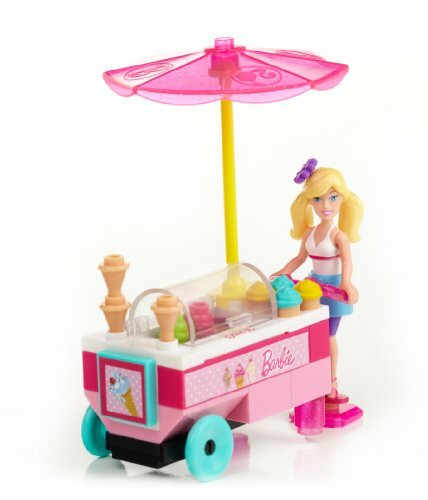 This buildable, glittery confection cart is just the thing Sweet Scoops Barbie and her friends have to keep their cool on a hot summer day! Package Dim. 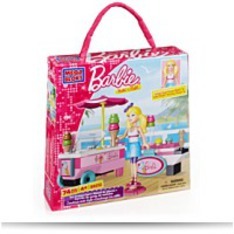 : Height: 2.1" Length: 7.9" Depth: 7.8"